Comparethediamond.com is committed to respecting and protecting our customers' privacy – we take your privacy as seriously as we take our jewellery. At ComparetheDiamond.com we want to earn and maintain your trust, and we believe protecting your data is absolutely essential in order do that. You have probably received hundreds of emails about the new GDPR laws coming in, here is a helpful summary of our company's views and practices regarding your personal data and how we will treat it. We collect information about you when you register with us and purchase our products or services. We also collect information when you voluntarily complete customer surveys, provide feedback and participate in competitions. Website usage information is collectedusing cookies. 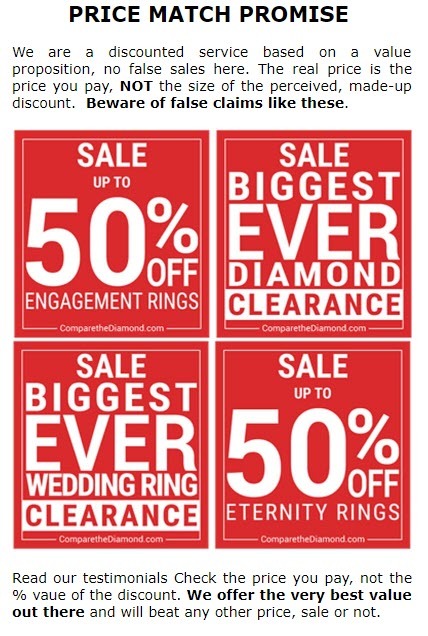 At ComparetheDiamond.com we take your privacy seriously and will only use your personal information to assess your eligibility for a ComparetheDiamond.com account, and once you have joined ComparetheDiamond.com, we use your data to administer your account and to provide the products and services you have requested from us. We will not sell your data to any third parties. We also use your information collected from the website to personalise your repeat visits to our website and may also use this data for profiling in order to advertise to you on 3rd party sites, such as Facebook. If you have registered on our website but not purchased from us, the length of time we will retain your data is dependant on whether you have opted into our marketing communications. If you have opted in, we will retain your data for 2 years from registration; if you have not opted in, we will retain your data for 30 days from registration. Whilst you are an active customer (which, for the avoidance of doubt, means you have purchased from us) we will retain your data for as long as needed to give you the best possible customer service. We will anonymise your personal data 7 years after your last transaction (sale or refund) provided you have not interacted with us for 2 years. For the purposes of this policy, an interaction is defined as an identifiable website or app session, or contacting our contact centre. We will inform you before we anonymise your data and give you the option for us to retain your details in order to continue to serve you.